• What is Value Engineering? • How is VE Applied? • How can it enhance Lean & Six Sigma? • What is Function Analysis and FAST?  Value Engineering (VE) is an intensive, interdisciplinary problem solving activity that focuses on improving the value of the functions that are required to accomplish the goal, or objective of any product, process, service, or organization. • Value Engineering is used to reduce cost on existing Projects, Processes, Products, or Services. • Value Engineering is used to improve quality, increase reliability and availability, and customer satisfaction . • Value Engineering is also used to improve organizational performance. • Value Engineering is a powerful tool used to identify problems and develop recommended solutions. The cause of poor performance is wasteful activity. 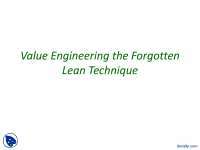 Lean is a time-based strategy and uses a narrow definition of waste (non-value-adding work) as any task or activity that does not produce value from the perspective of the end customer. Increased competitive advantage comes from assuring every task is focused on rapid transformation of raw materials into finished product.  Provides a strategic approach to integrated improvements through value stream mapping and the focus on maximizing the value-adding-to-waste ratio.  Directly promotes and advocates radical breakthrough innovation.  Addresses workplace culture and resistance to change through direct team involvement at all levels of the organization. May promote risk taking without reasonable balance to consequence. 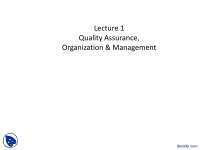 May not provide sufficient evidence of business benefit for traditional management accounting. Has a limitation when dealing with complex interactive and recurring problems (uses trial and error problem solving). forecasting and reliable product performance. The rigor and discipline of the statistical approach resolves complex problems that cannot be solved by simple intuition or trial and error. The data gathering provides strong business cases to get management support for resources. The focus on reduction of variation drives down risk and improves predictability. systems integration problems. (sigma can be calculated for a product specification, but how is sigma established for process interactions and faults.  The heavy reliance on statistical methods by its very nature is reactive, as it requires a repetition of the process to develop trends and confidence levels.  The strong focus on stable processes can lead to total risk aversion and may penalize innovative approaches that by their nature will be unstable and variable. 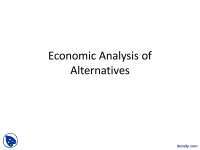  VE uses a interdisciplinary approach to problem solving.  VE takes a systems approach to problem identification and problem solving.  The function analysis systems technique (FAST) promotes a synergistic approach to problem solving that develops solutions far beyond that which only an individual could produce.  VE relies on a rigorous interdisciplinary approach to problem solving.  VE uses a systems approach to problem identification and solution.  VE is function oriented and promotes a “clean-sheet” approach that supports innovative solutions.  VE uses a structured “job plan” that promotes consistency in application and helps assure results.  Increased competitive advantage comes from the identification of innovative ways to accomplish key functions at a lower cost with improved quality and reliability.  Successful VE results are dependent on the quality of information brought to the VE workshop for evaluation.  Many times, VE is used too late in the product development cycle to impact the design, and when changes would be too costly to implement. 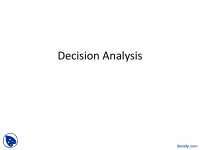  Six sigma can provide the statistical evaluation necessary to support VE solutions. 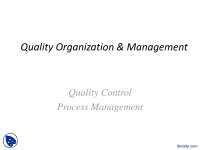  Lean can provide Value Stream information that can lead to improved quality and throughput.  In combination with VE, Lean and Six Sigma provide a suite of tools that can lead to superior value through innovative solutions to problems in design, quality, and productivity.  VE is not limited to areas of high volume or high dollar value (e.g., aircraft).  VE can be used by organizations with great effect in a variety of situations, including VE analysis of product/item design, packaging, industrial and logistical processes, and other areas of high cost. 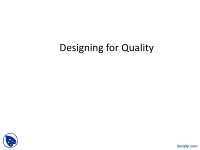  Lean principles and practices offer no direct method of addressing product design.  Up to 80% of a product’s final cost could set at the time of concept approval. This leaves Lean with only 20% of vehicle cost available for Lean to improve.  Lean is a strategic decision, while organizations can choose to use VE successfully and effectively in a tactical manner.  VE can work well as an isolated study event – it does not require the encompassing and pervasive level of support that an effective Lean effort requires.  Lean will reduce waste over time. VE, on the other hand, will find and fix wasteful effort very quickly, but it will generally (not necessarily) do so on an episodic basis, not a continuous or systematic basis.  VE’s value approach and tools help teams focus on the high payoff areas first and will generate larger savings sooner than you might otherwise get in Lean.  Both VE and Lean rely extensively on transforming operations into alternative forms of visual information.  In Lean, a Kaizen team will consider using a variety of visual analytical tools to identify waste.  Spaghetti diagrams, flow diagrams, bar charts, standard work sheets, and production control boards, are all part of the Lean analytical lexicon.  VE uses function analysis and FAST diagramming to describe the functional relationship of the product, process, or service and identify functions where the team should focus on improving value.  Creating by function is the high-octane fuel generating VE performance and success.  A) Identify what the customer wants.  B) Organize an improvement team.  A) Select “Critical to Quality Characteristic” metrics.  B) Define Performance Standards.  C) Validate the measurement System. 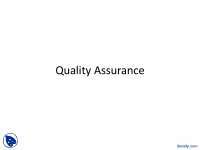  A) Identify significant characteristics and establish process capability.  B) Define performance targets for significant characteristics.  C) Identify root cause of process variation. A) Identify and evaluate potential solutions.  B) Implement short-term countermeasures.  C) Implement long term corrective actions.  E) Establish operating tolerances for new process.  A) Verify corrective actions and validate new measurement systems. 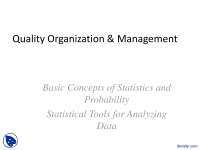  B) Determine process capability.  C) Establish and implement control plan.  Move on to next highest priority process.